After studying at the Sorbonne and then Harvard, in the late 1950s Adnan taught philosophy at the University of California and started to paint. While these early works were largely abstract compositions - with squares of colour applied directly from the tube - she was interested in the immediate beauty of colour. Her earliest paintings were suggestive of landscapes and included forms that referenced specific places. In the 1970s she moved to the area near Mount Tamalpais in California, which became the central subject matter of numerous paintings and poems. From the 1960s until the present day Adnan has also made tapestries, inspired by the feeling and colour of the Persian rugs of her childhood. Never translating existing paintings into tapestries, she uses specific designs for her textile works. Over the course of the 1960s, Adnan moved away from purely abstract forms and, in 1964, discovered ‘leporellos’, accordion-folded sketchbooks in which she could mix drawing with writing and poetry. Often working in series, her painting continued to move between recognisable and imagined forms, revealing her sensitivity to colour and shape extracted from the environments in which she found herself. Her writing, too, contains multiple references and responses to the politics and violence in the world around her. From her earliest poem in English, which addressed the Vietnam War, to her award-winning 1978 novel Sitt Marie-Rose, she explores the political and personal dimensions of violence and articulates her experience of exile from familiar landscapes and languages. Adnan’s artworks feature in numerous collections, including Centre Pompidou, Paris; Mathaf, Doha, Qatar; Royal Jordanian Museum; Tunis Modern Art Museum; Sursock Museum, Beirut; Institut du Monde Arabe, Paris; British Museum, London; World Bank Collection, Washington D.C.; National Museum for Women in the Arts, Washington D.C. In 2014, Adnan was awarded France's highest cultural honour, the Ordre de Chevalier des Arts et des Lettres. Adnan has participated in a number of Serpentine events during the past six years including the On Edgware Road group exhibition in 2012; the Map Marathon (2010); the Garden Marathon (2011); the Memory Marathon (2012), and the Extinction Marathon (2015). 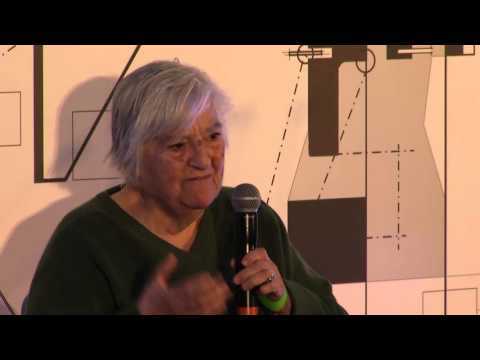 Etel Adnan (b. 1925, Beirut) is a poet, essayist and visual artist who divides her time between Lebanon, France and the USA. She retired from a permanent teaching position in the late 1970s and now devotes herself to her art and writing. A powerful voice in feminist and antiwar movements, Adnan has published several works of poetry and fiction, among which are Sitt Marie Rose (1978), The Arab Apocalypse (1989) and Master of the Eclipse (2009). As part of the Serpentine Gallery's Park Nights series, on Friday 3 September 2010, Etel Adnan convened an evening of readings and music celebrating the Edgware Road Project, in the Serpentine Gallery Pavilion 2010 designed by Jean Nouvel. During this evening, Adnan read from her poetry collection, Seasons (2005) and her memoir, In the Heart of the Heart of another Country (2005). The evening also included music from composer Gavin Bryars' song cycle, Adnan Songbook (1996), which set to music a group of eight of Adnan's love poems from her collection, The Indian Never Had a Horse and Other Poems (1985). Inspired by Etel Adnan's literary and philosophical teachings, this study evening conjured love and other poetic gestures in the face of violence, featuring talks, screenings and other interventions. The evening included talks by Omar Berrada, Cynthia Enloe and Eyal Weizman, as well as screenings of films by Tracey Moffatt and William Kentridge. 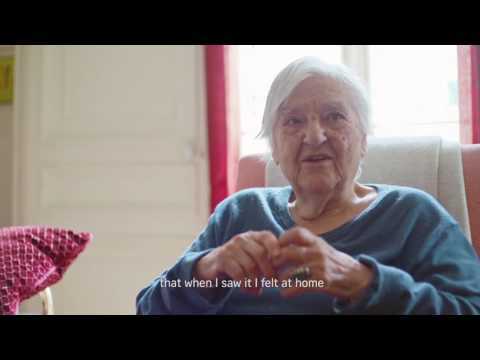 Etel Adnan: The Weight of the World film.